You often organize trainings in Paris? We Conf In Paris by Sodexo helps you to rent a training room in Paris (75). Rent a room for your training in Paris. Located in Paris, our spaces welcome you for your training sessions. Its spaces are designed to meet the needs of participants. You want to rent a room for your training in the capital? 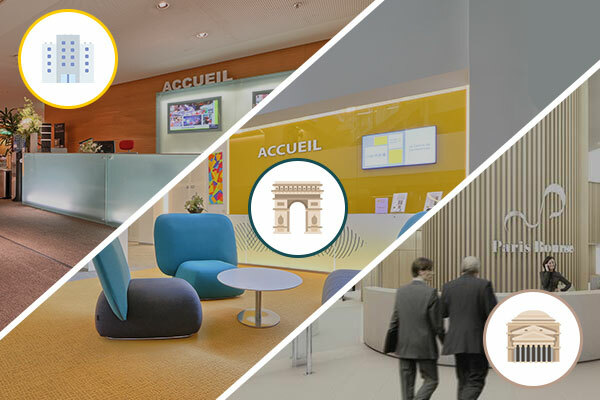 Our center We Conf In Paris proposes you different types of locales and a large range of services. What’s better than Paris to organize your training meetings! The capital is easily accessible and its central position makes it the ideal place to gather participants of different cities. Located in Paris, our training rooms we rent are easily accessible by public transport or by car. 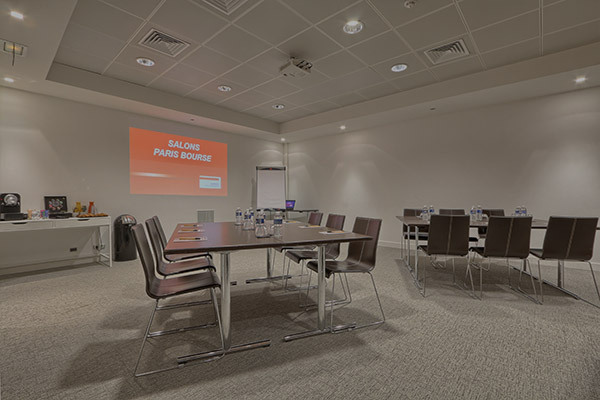 Our conference centers Capital 8 and Cœur Défense and the Paris Bourse training center have fully equipped spaces offering all modern comforts. 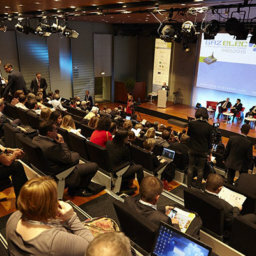 With a capacity of 270 people, the spaces proposed by We Conf In Paris are perfect for seminars or training sessions. Cocktail areas are arranged to organize the necessary breaks. 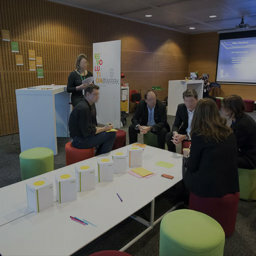 For smaller groups, We Conf In Paris by Sodexo offers several modular training rooms to satisfy you in your event and the number of participants in your training. Our training spaces have screen, video projector and Wi-Fi. We provide notepad, pens and water to your participants. 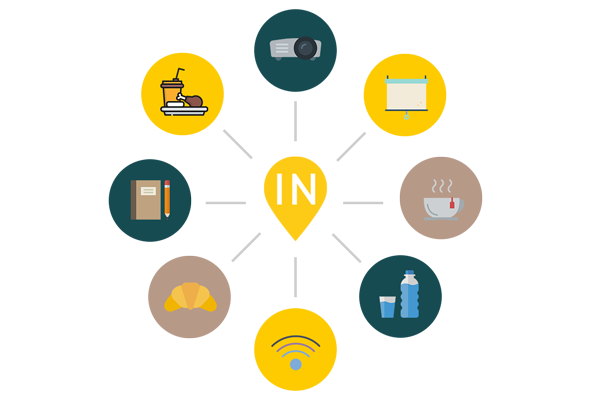 We Conf In Paris has developed a specific offer for training, which allows you to organize your sessions with serenity, without having to worry about the stewardship or the material. This offer obviously includes the rental of a training room, whether you choose the auditorium or one of our modular rooms. Our team will give you all the material you need for the animation of your training, particularly a video projector and a screen. Your participants will have a notebook and a pen. Our training rooms are equipped with Wi-Fi. We will also ensure the user-friendliness of your training session, by proposing a catering service. The welcome is an important part of any meeting and that is why our “training” formula includes a small buffet of coffee and pastries. Your training group will be able to eat at the lunch break, so that you can optimize the training time. The complete meal with drinks is included in our package and provided by a caterer. Your participants will also enjoy a snack break during the afternoon. How to organize your trainings in Paris? Do you want to organize a training in Paris? We will make you discover all our offers and find the appropriate solution according to your expectations and your budget. You can opt for one of our turnkey packages, or ask the sales teams of the We Conf In Paris centers to design tailor-made services. We are at your disposal to advise you. Remember to plan the rental of your training room well in advance to be able to choose your date and adapted spaces. You can contact the teams of the different spaces directly by telephone or by e-mail to rent a training room in Paris.